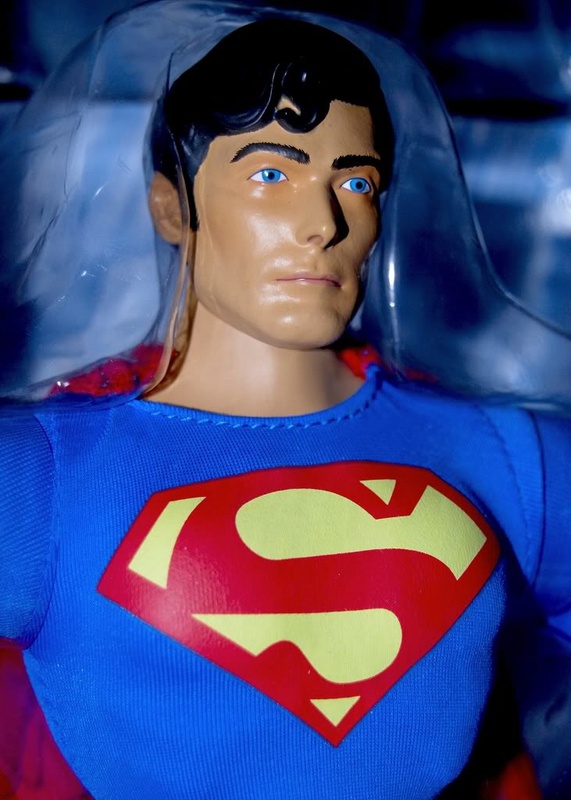 Second in a series of Movie-faithful replicas in 1/6 scale beginning with General Zod and concluding with Lex Luthor – Pictured above is the landmark first-ever officially licensed action figure bearing the likeness of Christopher Reeve. Though specially produced for the adult collector, for $60, these figures are somewhat basic and doll-like in their execution. While the headsculpt is passable, the paintwork is sub-standard and the body (revised by Mattel after disastrous reception of the prototype revealed at SDCC ’09) is still disproportionately top-heavy. As stated with Zod, these are not figures for cynics and if nothing else, fill a 30-year void. 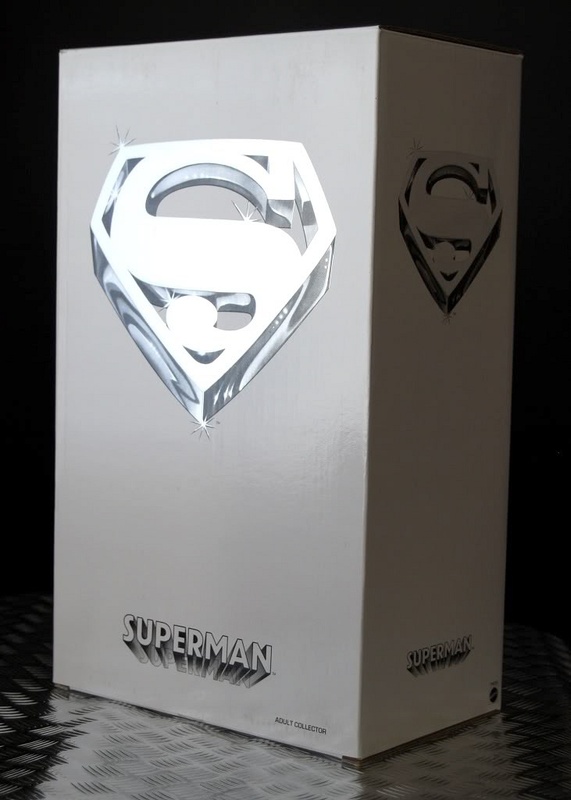 Nonetheless it is beautifully presented, the graphics of the box suitably retro and the accessories stellar (there’s something very exiting about a 1/6 Green Crystal) with the exception of the boots (which should’ve be made from vinyl). The costume is also an arguably reasonable representation of the screen-worn version, with nice bold chest shield replicated in yellow on the cape. 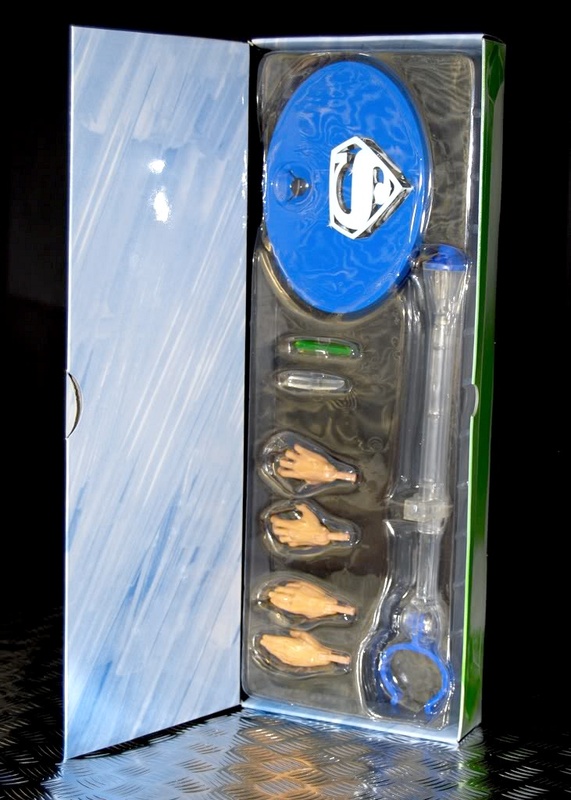 Just pulled from sale by mattycollector.com, expect both this and Zod to re-appear on the site for the release of Lex Luthor in the coming months. With Hot Toys release (hopefully) fast approaching, this line will probably be notable for producing the first rather than definitive versions of these iconic characters. 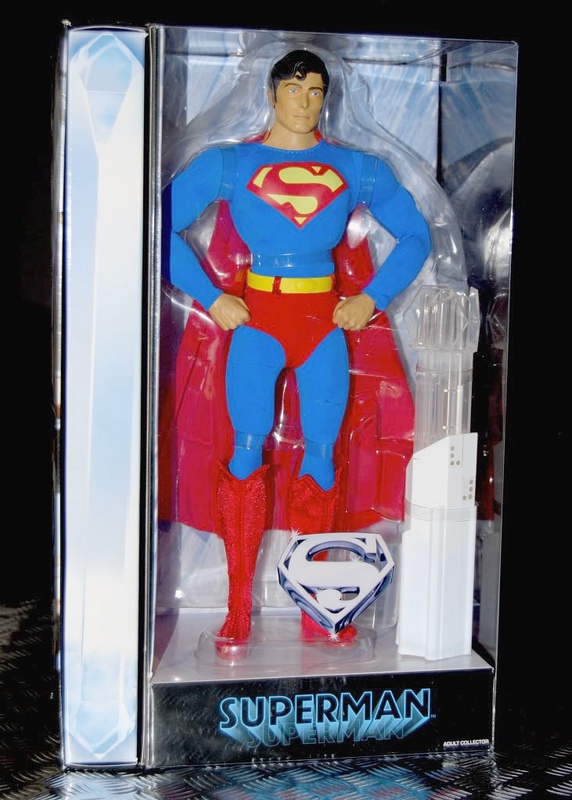 My sincere thanks to Jim Bowers of Capedwonder.com who ensured this figure made a safe flight across the pond..!